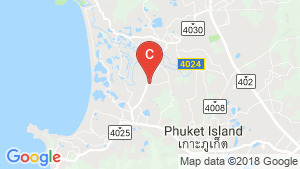 Located within 2 minutes of the main entrance to the Laguna 5 Star Resort Complex, on the west coast of Phuket, Trichada Sky offers world class restaurants on the doorstep, with easy access to golf & miles of sandy beach, yet only 15 minutes from the airport. The new water & recreation park being developed within 5 minutes of your villa, will be open soon, delivering entertainment options for you or tenants. An extension of Boat Avenue food & shopping complex directly opposite the current Boat Avenue & a Central Food Development adjacent to Boat Avenue will add further to the amenities. Meanwhile the development of a Botanical Garden in the neighborhood is also mooted. The Trichada is a traditional headpiece from Thai literature, worn in classical dance drama. The name evokes the image of our pitched roofs & the elegance of Thai culture. Trichada Sky Villa is a villa project developed by Sai Taan, Trichada Sky Villa at Choeng Thale, Thalang has the following facilities: air conditioning, bbq area, cctv, fitness, garden, parking, security, swimming pool and wi fi. Villa for sale in Phuket, Thailand.